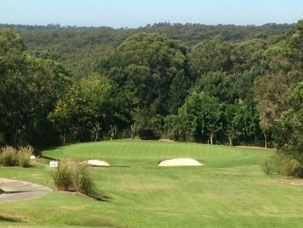 A short, tight, tricky downhill par 3 which tests the player’s nerve. It is always hard to choose a club here, especially if it’s windy. The severely sloped green is surrounded left, right and back by out of bounds. The green is extremely tough, particularly the left side. All golfers are happy to walk off this one with a par.